Colored Scotch 3M 371 shipping, box, and carton sealing polypropylene tapes for single-wall, low burst strength RSCs with high weight contents. 3M 371 colored packaging and shipping tapes are more than 3,000 minutes adhesion to fiberboard. 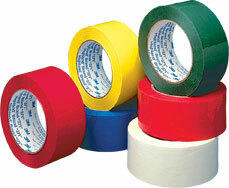 Colored 3M 371 carton sealing tapes are pressure-sensitive rubber resin adhesive that instantly seals cartons. Biaxially oriented polypropylene backing is easy to handle and dispense. Resists abrasion, moisture, chemicals, and scuffing. Conforms around edges and over rough surfaces for a tight seal. Good edge tear and split resistance. - Complies with environmental considerations of ASTM D1974-92. 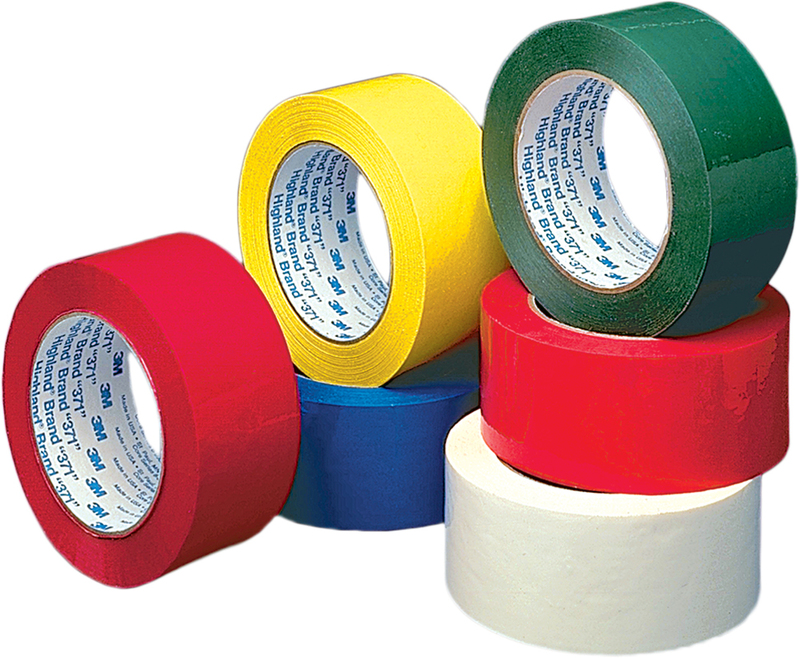 Scotch 3M 371 colored polypropylene sealing tapes offer strong backing and an aggressive adhesive. High quality, consistent performance with easy unwind.